He covered himself with a huge sheet of plastic, wore a reflective vest and had a distinctive walk, said Englewood police who released surveillance video Friday of a thief who snatched cash from a liquor store. 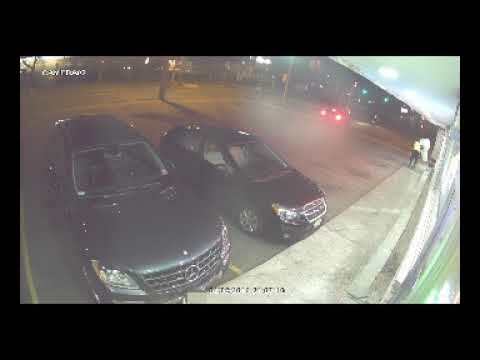 The thief headed straight behind the counter at Oprandy’s Wine & Liquor store last Friday night and grabbed the cash – then was scared off by the two owners, dropping some of the undisclosed proceeds as he ran, Detective Capt. Timothy Torell. Responding officers recovered some of the dark clothing he was wearing, along with the plastic sheet, a short distance away, Torell said. Police are hoping someone recognizes the thief and either calls city detectives directly ( 201-568-4875 ) or contacts CrimeStoppers, which offers up to a $1,000 for information that “significantly assists” police in cracking a case. Tips can be made anonymously on the group's website at www.bergencrimestoppers.org or by calling 844-466-6789 around the clock.